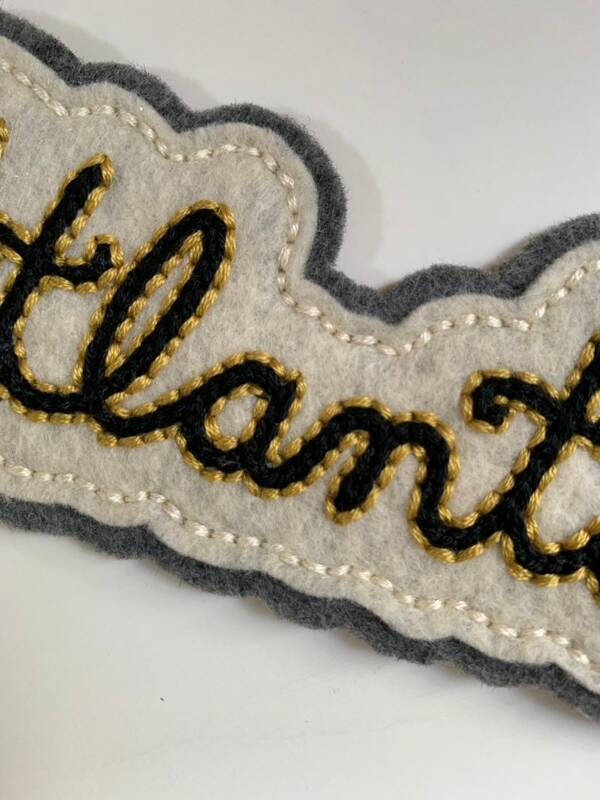 Hand-embroidered, hand-sewn and hand-cut white & gray felt patch. 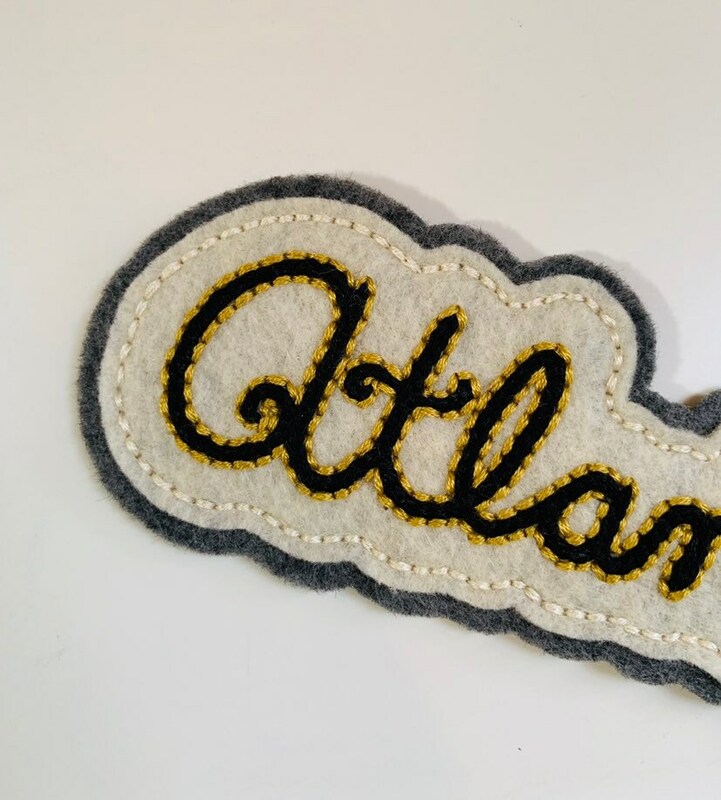 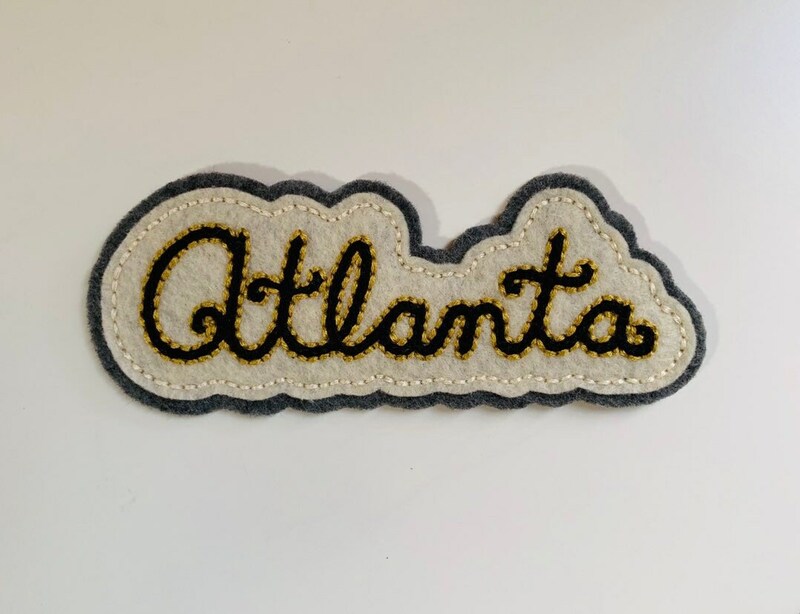 Patch features 'Atlanta" in black cursive lettering in a chain stitch with chartreuse green straight stitch outline. 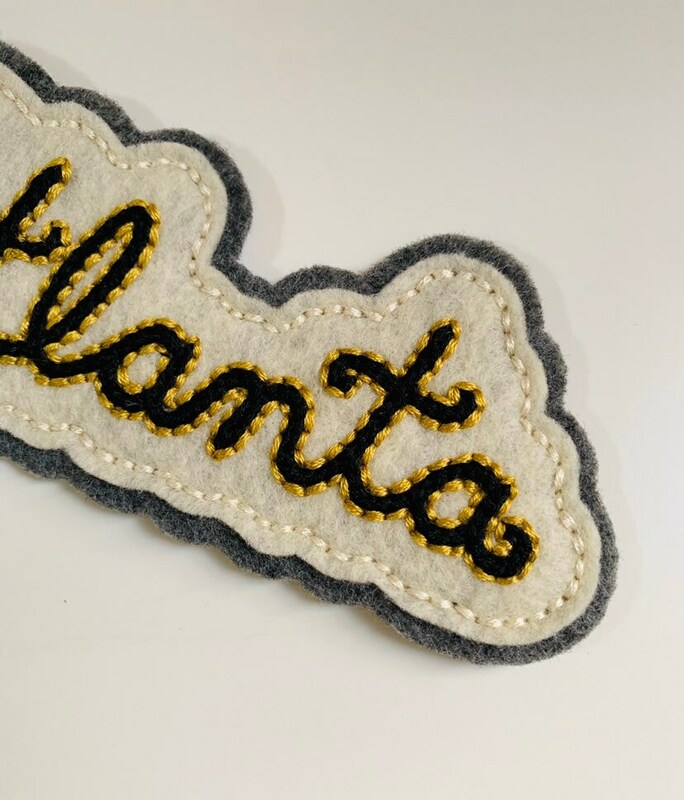 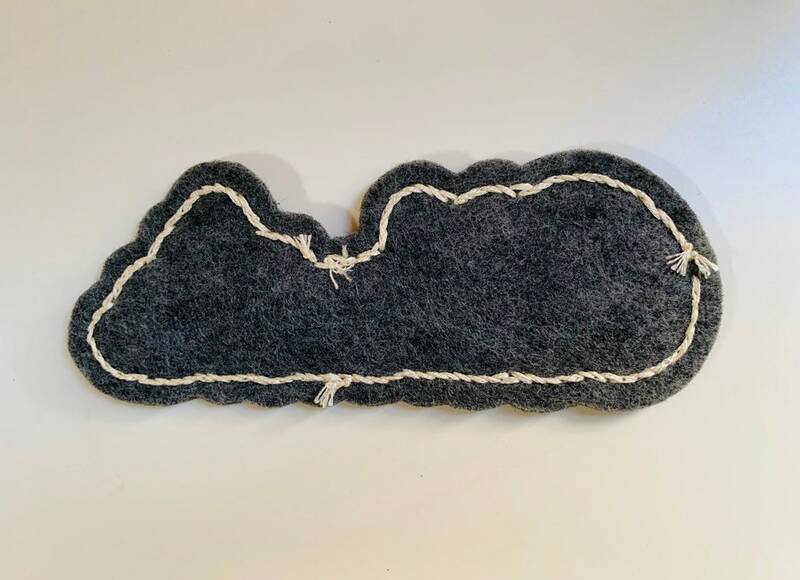 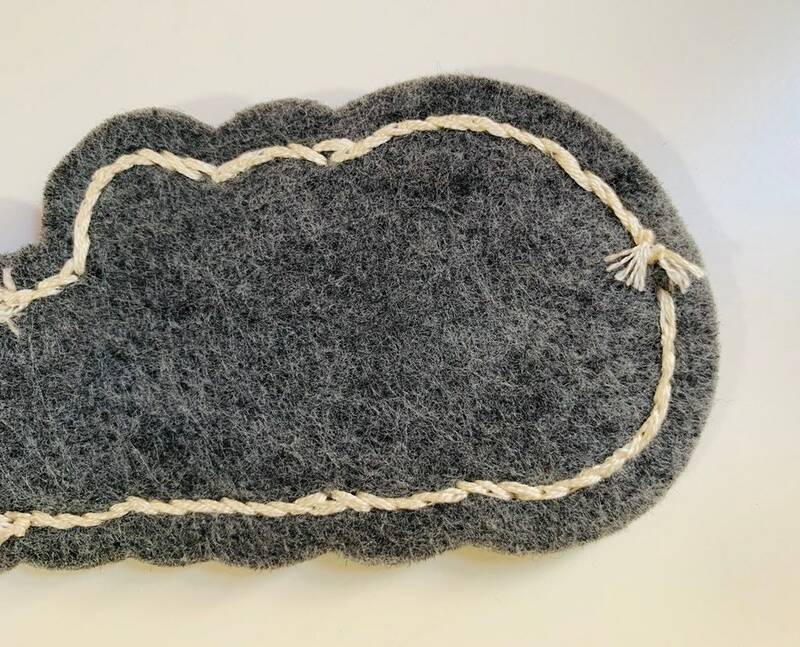 Image is sewn to an off-white piece of sturdy felt that is then sewn on top of a dark gray piece of felt with off-white embroidery floss (creating a border) and trimmed to fit. 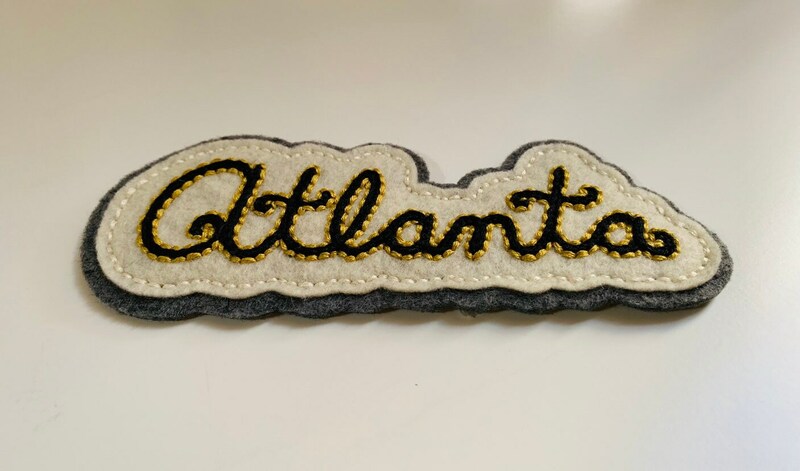 Turnaround time for patches is up to 5 business days, as patches are made-to-order.